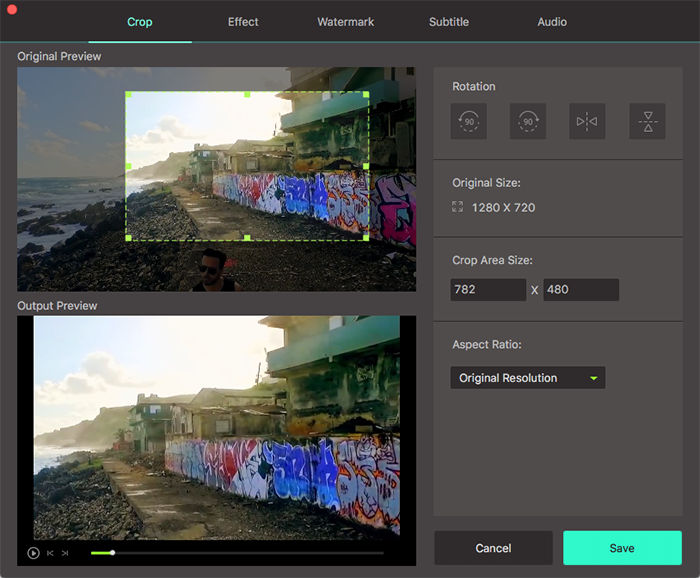 AVI might be one of the most used file formats for saving video files online and offline. So if you happen to have some AVI videos and wanna play them on your iPhone on the move, you need to make sure one thing: your AVI files are compatible with iPhone (X/8/8 Plus/7/7 Plus/6s), if not, you need to convert it to iPhone compatible format with a video converting software. So what AVI files are supported by iPhone? You can play these AVI on iPhone X, iPhone 8, iPhone 8 Plus, iPhone 7, iPhone 7 Plus, iPhone SE, iPhone 6s, iPhone 6s Plus, iPhone 6, iPhone 6 Plus, iPhone 5s, iPhone 5c, iPhone 5 or older iPhones: Motion JPEG (M-JPEG) up to 35 Mbps, 1280 by 720 pixels, 30 frames per second, audio in ulaw, PCM stereo audio in .avi file format. Difficult to understand? All in all, iPhone only supports some types of video cameras AVI footage via the camera card reader accessory, while it won't let you play downloaded AVI movies or AVI videos from other sources on iPhone. 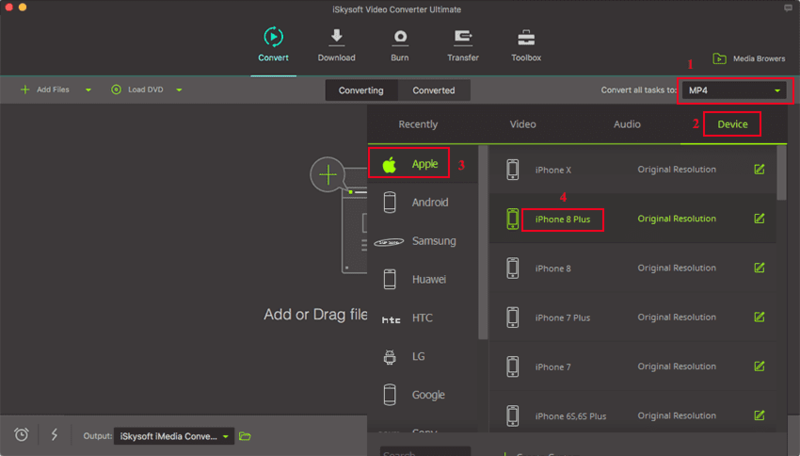 For most AVI video files, you need an app like iSkysoft Video Converter Ultimate to make AVI file compatible with your iPhone. iSkysoft Video Converter Ultimate is fully compatible with all major Mac operating systems like High Sierra, Sierra, El Capitan, Yosemite, Mavericks, Mountain Lion and Lion. Convert all popular formats: Convert AVI videos up to 150+, like MOV, MP4, WMV, etc. Optimized Presets: Directly convert AVI files to fit Apple devices, Android devices and more. Extract Audio: Extract audio from AVI video to MP3, MKV, M4V, WAV, etc. Download Video: Capture any online video with the supplied media downloader. Burn DVD: Burn AVI or any video to a blank DVD whenever you want. 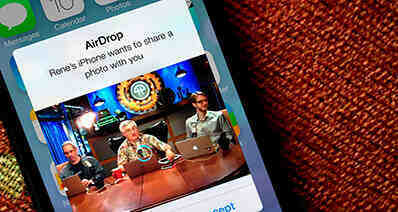 To play AVI video files unaccepted by iPhone, you need convert your AVI to iPhone friendly format first. This article use iSkysoft iPhone Video Converter for Mac to do the AVI video to iPhone video conversion. The Mac app provides iPhone preset so that you can directly choose the preset to let the program set the video format, video resolution and more automatically. With loss-less video quality and ultra-fast video conversion speed, the Mac task will be done in a flash. The following are the detailed steps to convert AVI to iPhone on macOS Sierra, El Capitan, Yosemite, Mavericks and Mountain Lion. Directly drag your original AVI files into this iPhone Video Converter for Mac. Tip: By the way, the Mac converter additionally allows you to trim, crop video or add effects to your video for enhancement. Select iPhone preset from format list, and choose the one of your iPhone model. Click the "Convert" button to begin the Mac conversion. Just in a second, it is done. 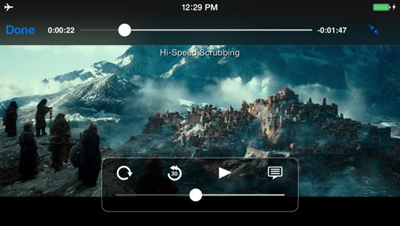 Then you can import the output videos to iPhone for playback. Note: This software allows you to directly import converted AVI files to iTunes. Please go to the "File" menu, then click "Preferences" > "Convert" > "Add files to iTunes Library after conversion". Finally, you can sync the converted video to your iPhone via iTunes as needed. This iPhone Video Converter for Mac is a professional app for iPhone, iPad, iPod and other devices and apps. It offers you the solution to video converting, so you can watch videos on iPhone freely. With it on your Mac running macOS High Sierra, Sierra, El Capitan, Yosemite, Mavericks or Mountain Lion, watching all kinds of videos on iPhone could no longer be difficult. Flex Player is used and recommended by many users from all around the world. This player was developed by Persona Software, LLC. It is compatible with both iPhone and iPod devices. It supports various file formats such as MPEG, MKV, VOB, AVI, MP4, MOV, WebM and FLV. It provides audio and video playback with excellent results. Easy Audio and Video Playback. Does not support multiple audio track. Supported video formats: MPEG-4 video up to 2.5 Mbps, 30 fps, 640 x 480 pixels, Simple Profile with AAC-LC audio up to 160 Kbps per channel, 48kHz, stereo audio in .mov, .mp4 and .m4v formats; H.264 video up to 1080p, 30 fps, High Profile level 4.1 with AAC-LC audio up to 160 Kbps, 48kHz, stereo audio in .mov, mp4 and .m4v formats; Motion JPEG (M-JPEG) up to 35 Mbps, 30 fps, 1280 x 720 pixels, audio in ulaw, PCM stereo audio in .avi file format.